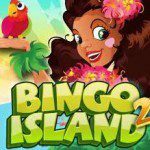 With BingoDab developer Dab Gaming LTD tries to offer a realistic and exiting Bingo game, and it’s safe to say that they have succeeded. The game is not only exciting on its own, but it also offers a bonus of 1000 coins and 50 volts. All you have to do is install the game and play a couple cards! 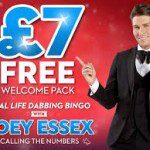 If the free stuff didn’t draw you in, the features of BingoDab will surely impress. BingoDab has been developed and published by Dab Gaming LTD, a company that has been active since 2013. The only game they have come out with is BingoDab and they continue to work on this game to this day. 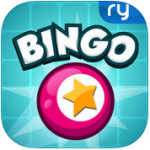 There have been several updates to BingoDab, and it is available on both iOS and Android. 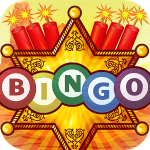 • Earn a daily bonus and an extra bonus amount of coins when you connect the game to Facebook and invite your friends to play BingoDab. • There are 7 power-ups. 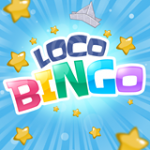 It’s like playing Bingo on steroids with the golden dabs, instant Bingos, power dabs, Double Wins Joker Cards and more. Dazzle your opponents by acting fast and using the appropriate power-up to blow them away. • Dab Gaming LTD has really tried to make this game as realistic as possible, so there’s no automatic daubing. You are, however, greatly rewarded in extra XP by how fast you are manually daubing. • There are collectibles that you can find in the rooms. These will give you a nice coin bonus. Buy Volts, Dabber’s, High Roller’s and 1st Timer’s in BingoDab to rise in the competitive leaderboards quicker than others who haven’t bought any power-ups or boosts. Prices of these boosts vary between 1.99 US Dollars to 29.99 US Dollars.